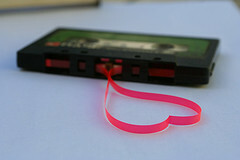 If you grew up in the 80’s, one of the most popular ways to show your affection to your love interest was through a making him or her a mix tape. I spent countless hours both making these objects of love and listening to them, treasuring the way the creator of the mix tape recorded the songs in just the right order. It was like listening to love poem through music, an art form in itself. Would Shakespeare have made a mix tape to give his love interest? If he had lived during the 80’s, we were pretty sure he would have put down his quill, picked up a few cassettes, and started recording. But what would he have put on that mix tape? Laird and I asked ourselves this same question and before we knew it, Shakespeare himself had conjured up a rockin’ playlist and sent it to us. Head on over to Laird’s blog to see what the Bard put on his mix tape. *Please note: The authors (Laird and Tami) are not responsible for these songs worming their way into your brain, causing spontaneous singing throughout the day. If you grew up in the 80’s, you may be especially vulnerable. Proceed with caution or reckless abandon, whichever suits you on this fine day. What do you think, dear readers? 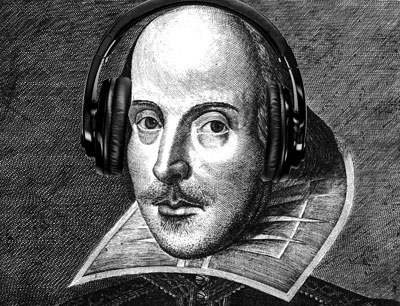 Would the Bard have made mix tapes? Did he forgot to include any songs on his playlist? Do tell! I’d love to hear from you. LOVE LOVE LOVE you’re header! Wish I’d been in on that conversation. Must have been interesting. Actually, I can see Shakespeare as more of a hip-hop artist scratching records and wearing a giant hourglass on a golden chain around his neck. What a cool concept, playlists from historical figures. Elizabeth I. Julius Caesar. Attila the Hun. It would have to have included something by Aerosmith, don’t you think? Perhaps in his next mix tape?